A weekend of sights, sounds and all the colors of the rainbow right in the middle of summer! Even more dramatic since this event is set on the banks of a river. It is not unusual for the pilots to take a morning dip in the still waters of the river at sunrise. Believe it or not passengers are happy to join them in this morning dunk in the river! Taking off at sunrise since the air is still at that time these hot air balloons often drift over the river. Dropping as close as they can to the water the natural wicker baskets often “go under” for a moment. Clearly a demonstration of the skill these pilots have in controlling the lighter than air aircraft. Like Old Home Day in Londonderry this Balloon Festival brings visitors from all over New England to this small town. It is a great event for the entire family plus the local companies and organizations depend on visitors for revenue from this event. The Balloon Festival includes rides, food, hot air balloon rides, helicopter rides around the Pittsfield area, fireworks and of course the launching of the hot air balloons which occurs Friday evening, Saturday morning, Saturday evening, and Sunday morning most years (weather permitting). Wind plays a major factor in deciding if the hot air balloons will be allowed to launch. Even the smallest amount of wind can ground the balloons. Whether to launch the Hot Air Balloons or not is sometimes decided minutes before the scheduled launch of the balloons. 2011’s Balloon Rally will be held from August 5th through August 7th! Food, Beverages, Carnival Amusements, Helicopter Rides, & Tethered Hot Air Balloon Rides all have separate charges. No smoking, no pets (due to food being served). Bags, coolers, backpacks and other containers except for childcare and medical needs are not allowed. No: cans, glass, alcohol, skateboards, bikes or weapons are allowed. All bags subject to inspection. Live Entertainment is available Friday starting at 5pm and Saturday at 3 PM at Drake Field. This is a Pittsfield Rotary event, visit the Pittsfield Rotary Hot Air Balloon Rally website, this is an annual event and is the largest fund-raiser they have. All proceeds donated to local and international humanitarian projects. The image in this story is from working at the event in the 1990?s; it is a photographers paradise especially if you enjoy the early mornings. Hot air balloons are more likely to operate in the mornings when the air is still. Evening lift offs are scheduled and most often happen. On Saturday night even if they do not fly, you will not be disappointed. The incredible Night Glow where pilots adjust the burners to get maximum light and fire them up with the balloons tethers is a show you will never forget! 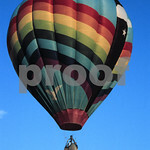 Like to view images of New England Balloon Festivals we have shot over the years? 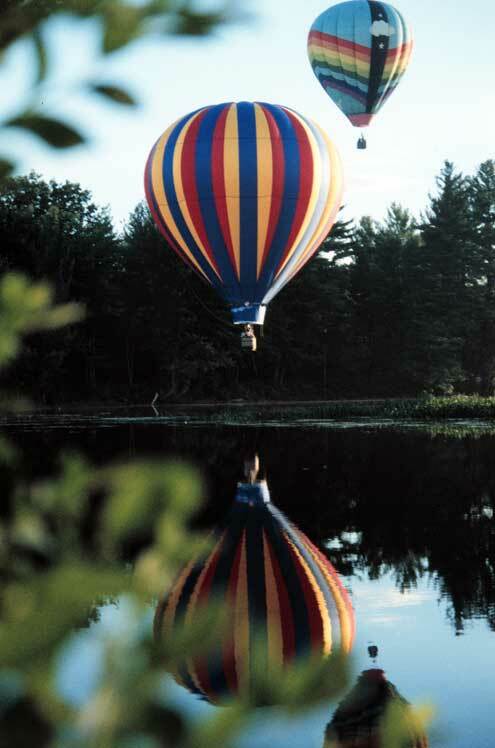 Visit the “Hot Air Balloon Gallery” in our Londonderry Hometown Online News darkroom. Also, you should know as one little boy now does that asked us, “Where is the Balloon terminal located and when do they arrive?” Balloon’s almost always fly out and are then picked up by a chase team. There is no “Balloon Terminal” at one of these festivals. Except once at this rally, the winds were just right and the pilots were able to navigate and return to the same field they took off from. The Balloon Festival is held on the Pittsfield Center Historic District, or Drake Field. Browse this map for detailed driving directions.